Corner lot oasis. Be greeted by a grand entry. Formal living and dinning room with vaulted ceilings. A natural flow through the home. A kitchen with solid counter tops and lots of work space and storage. The family room sits off the kitchen that takes you to enjoy the outdoor patio and outdoor living space which makes up the beauty of this home. A green yard in this desert. A sitting eating area for barbecues or gatherings among loved ones. Those summer months call for this pool that is just waiting for you. With a slide to add to the fun. Back to the house. The master bedroom has its own balcony. and mountain views and a master bathroom with a sunken tub and closet to brag about. Plus two additional spacious bedrooms. This property is a non home owners association. You can park your boat or toys that allow you to play in the desert. 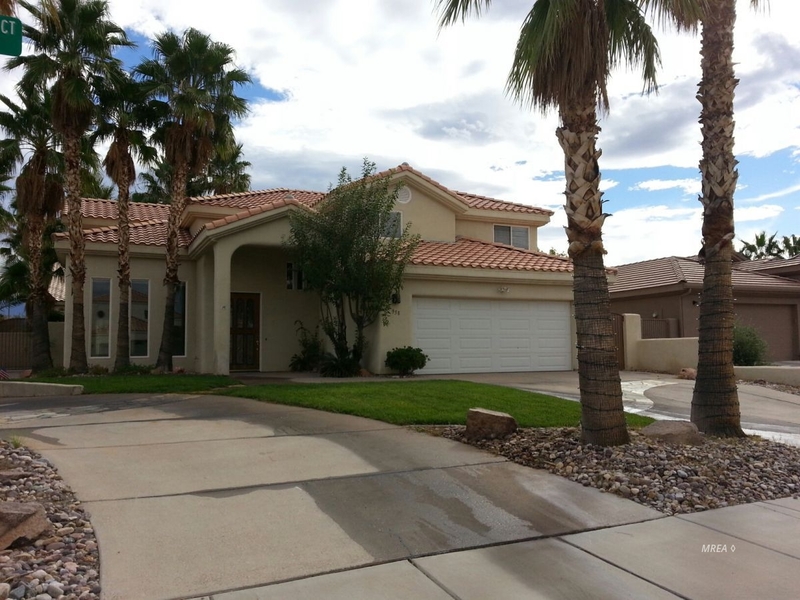 Located only a few blocks from a golf course and the Arizona boarder with many ridding trails. Be the proud owner of this very desirable property. Irene J. Navarro (License# S.0057121) with ERA Brokers Consolidated, Inc.